Last week I wrote a post listing some of my various card collecting projects. I didn't put a lot of thought into the post. I had received a package from a collector that happened to address a variety of my interests, so I thought I'd discuss how many collectors seem to collect more than one thing. 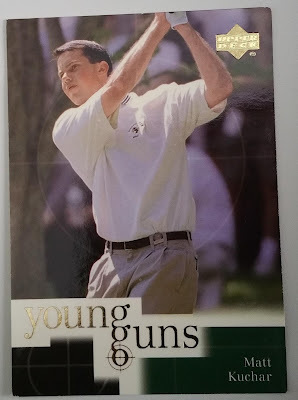 But the post seemed to speak to a few bloggers, which is why there have been posts about the variety of card interests for each collector on this blog and this one and this one and this one and this one. OK, fine, I'm now making it a Blog Bat Around. I think this is the first one of these I've started! 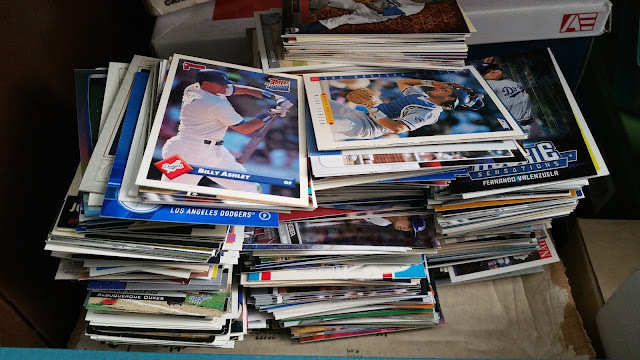 So, if you want to participate in this Blog Bat Around, all you have to do is write a post on your blog about your various card collecting projects. Once I determine that everyone who wants to participate has written their post, then I'll write a wrap-up post on my blog about everyone's various collections. But first, I have to properly write about my various collections. I only covered half of it in that other post. You think that's all I collect??? Get a pencil and notepad so you can keep track. At my collecting core, I am a set collector. This was my mind-set almost from the first year I started collecting cards. The point to buying packs was to complete the set. "Collect Them All!" That's what it said on the wrapper. And that's what I do today, for that kid who had no money to collect them all. 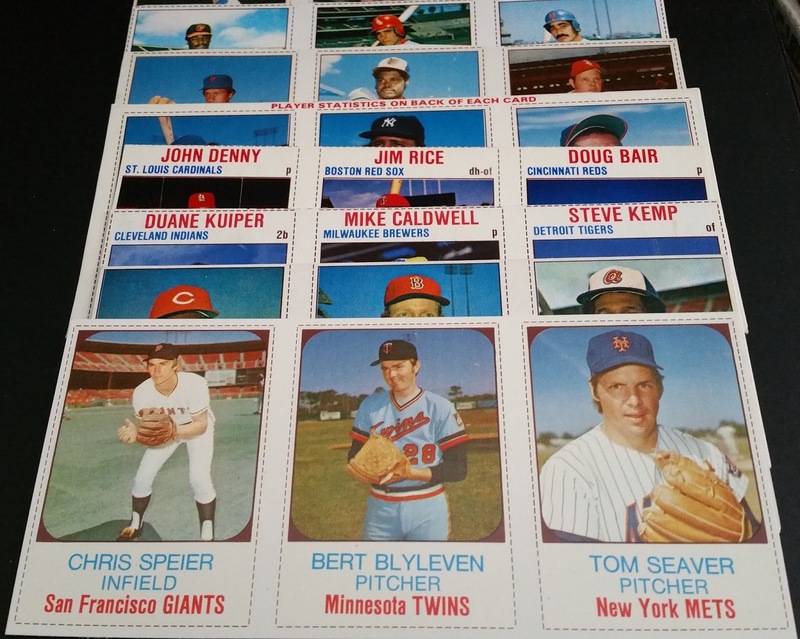 I have completed dozens and dozens of sets, from 1976 SSPC to 2015 Stadium Club. 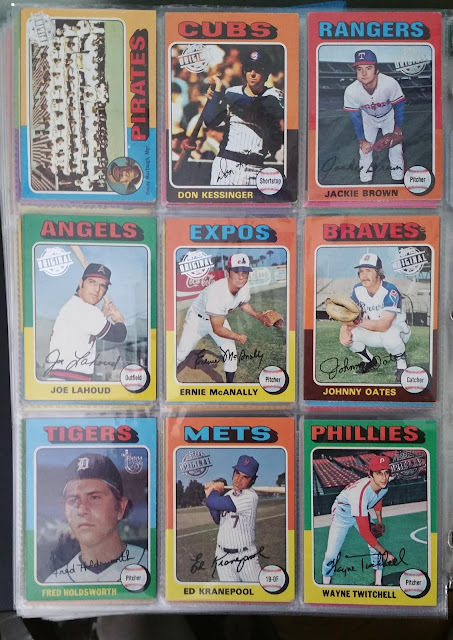 Right now, I am trying to complete the 1973 Topps set. That's my main goal, because when that's done, I will have completed every Topps flagship set from 1971-91 and that's going to blow that little kid's mind. But I'm also trying to complete 1981 Fleer, and finish off the last few cards of 1988 Fleer. Actually, I'm trying to complete 1982-87 Fleer, too. And I'd like to finish off that 2001 Upper Deck Decade '70s set someday. And 2008 Heritage someday, too. 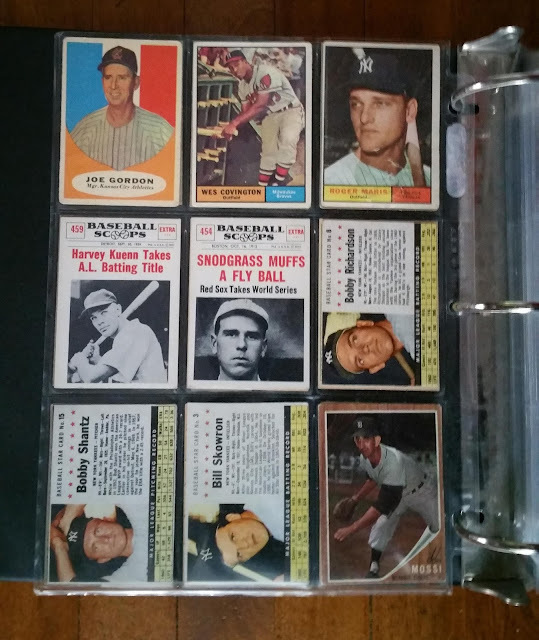 And there are the REAL Someday Projects like 1956 Topps and 1967 Topps. Also, don't forget the oddball completion tasks like 1976 Hostess and Kellogg's. 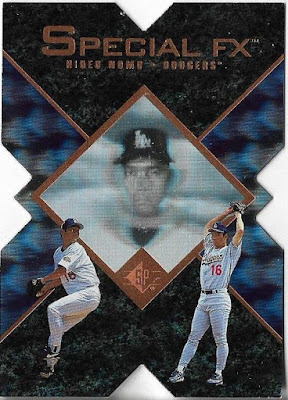 And I've really got to get that 2003 Topps Fan Favorites set finished. See? I'm a set collector. That's a look at some recent Dodger dupes. Just a small cross-section there. There are plenty more in the box underneath and the boxes behind and in the boxes in the next room. The Dodger collection is so expansive because that is what, I believe, is the easiest to collect and the easiest for others to send. People understand team collecting, maybe above all other kinds of collecting. I am not restrictive in my Dodger collection at all. Most of my other collections have rules. My Dodger collection does not. I want them all. And I have a bunch. Around 20,000. The variety is off the charts, from the Brooklyn Dodgers vintage of the 1950s to this space-age angular beauty that I recently received from Cardboard Catastrophes. Jeffrey dug it out of a dime box and it's a wild and crazy beauty. The Dodger collection does not discriminate and does not restrict. 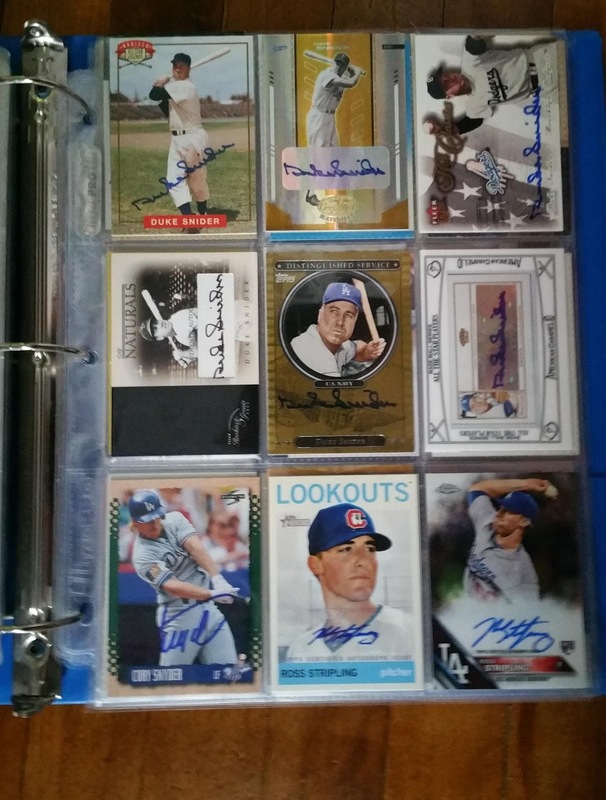 Yeah, I have some autograph Dodgers but it's not the focus of my team collection (I don't know if there really is). Yeah, there are six Duke Snider autograph cards in my collection. But there are also two Ross Striplings. And a Cory Snyder. I mentioned this already in "set-collecting," but when it comes to certain oddballs, I'm not limiting it to year. I want every Hostess card from the 1970s. I want every Kellogg's card from 1970-83. I want any Drake's card. Any TCMA card. Any SSPC card. Unlike the Dodger collection, I do discriminate a bit. Many 1980s or 1990s oddballs are acceptable but I don't see myself ever trying to complete sets of them. My heart lies with Kellogg's and Hostess and TCMA. I can actually see myself knocking people down to get to some Hostess uncut sheets. That's not an attractive visual image, but I'm illustrating a point. This falls under the set collecting family. It has a finite goal. Although I could always be on the hunt for a '75 buyback Robin Yount that may never exist, in my mind I know that this pursuit will end someday, probably in disappointment. But, right now, it's the biggest collecting hoot that I know. With one-third of the 1975 set in buyback form now in my collection, I'm interested in seeing how far I can go. Right now, I am interested only in trying to complete the 1977 Topps football set. I don't see myself trying to finish another set. If I do, it will be the 1979 Topps set, another set I collected as a youngster. 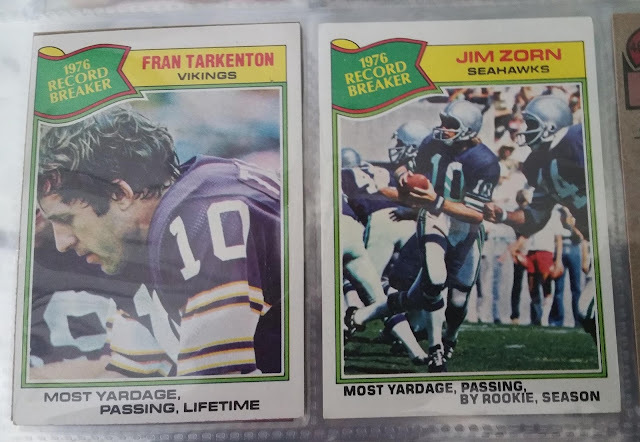 In fact, I think I may have had more '79 football cards than from any other year. But the '77 set with those wonderful sweeping banners is the primary goal. 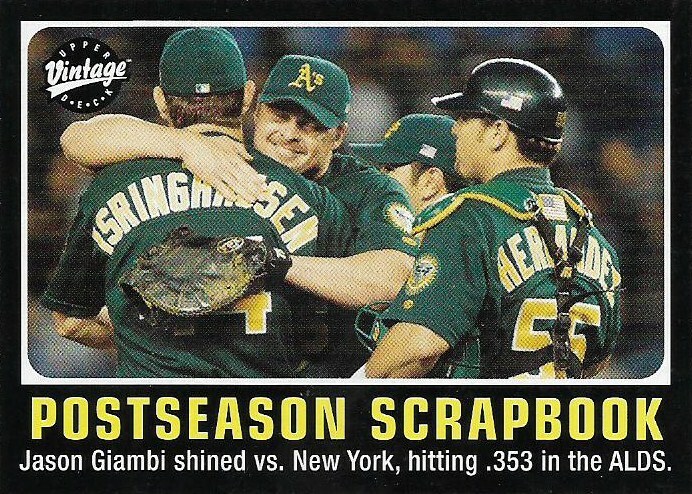 This is Page 16 in my Allen & Ginter mini frankenset binder. It is one of only six completed pages in the 23-page binder. I have a lot of work to do, which is why collecting minis and pulling minis from A&G continues to be such a joyous experience. My interest in minis goes all the way back to buying 1975 Topps minis 43 years ago. It's a mini set I completed, and I've finished off other mini sets like the 2011 Lineage '75 tribute insert set. But as I've mentioned before, all minis aren't created equal in my collection. I don't have much interest in minis from the 1980s or Gypsy Queen minis or the flagship mini cards created by Topps between 2012-15. As a mini-connoisseur, only I know when a mini is good and pure and worthy of collecting. The collection that gave Night Owl Cards its name, made people take notice and actually read this thing. 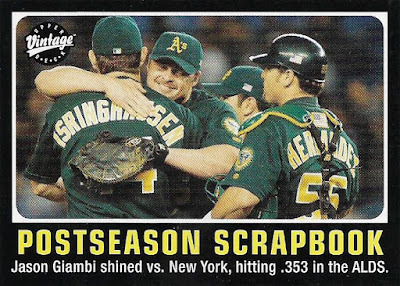 These days, night cards are a bit of an afterthought, even though the Night Card Binder is still going strong. I just don't get the sense that people are as interested in them as they were when I first let people in on this great little collection. 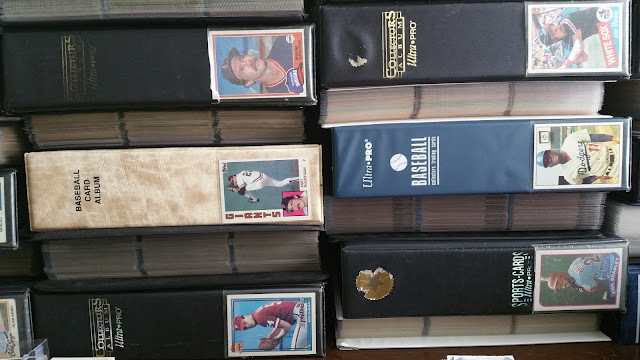 Most of my non-baseball collections don't get much more than passing attention from me. 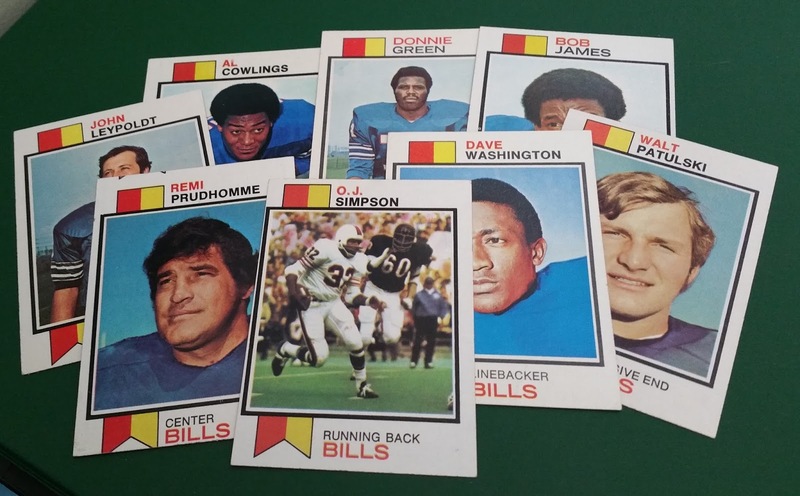 But I do like having Buffalo Bills cards in my collection and I do want more. A sub-category of my Sabres collection are Dominik Hasek cards. 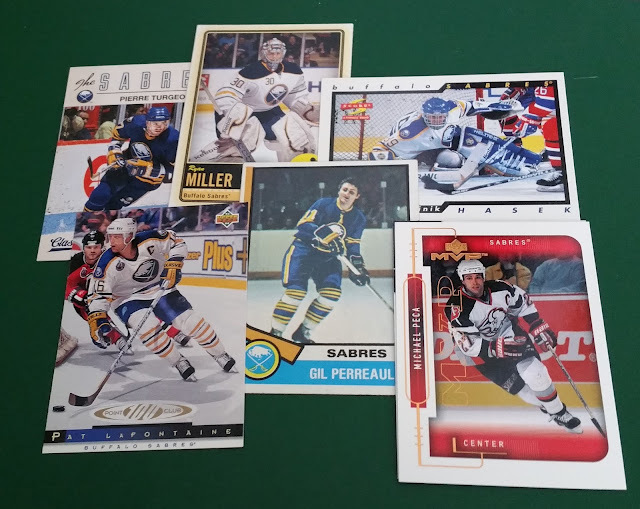 I haven't made any kind of effort to specifically collect Hasek cards, but I'd like to get enough to put a few impressive pages together. Tennis cards are treated like dirt. Almost no one makes them. No one wants to collect them. As someone who grew up in the '70s and '80s when tennis was a sport for rock stars, this makes me extraordinarily sad. People are more willing to watch golf than tennis??????? This will never make sense to me. Tennis players always make excellent cards (just take a look at any Kournikova card). Unfortunately the cards aren't designed the greatest, which keeps me from making a real effort to collect them. 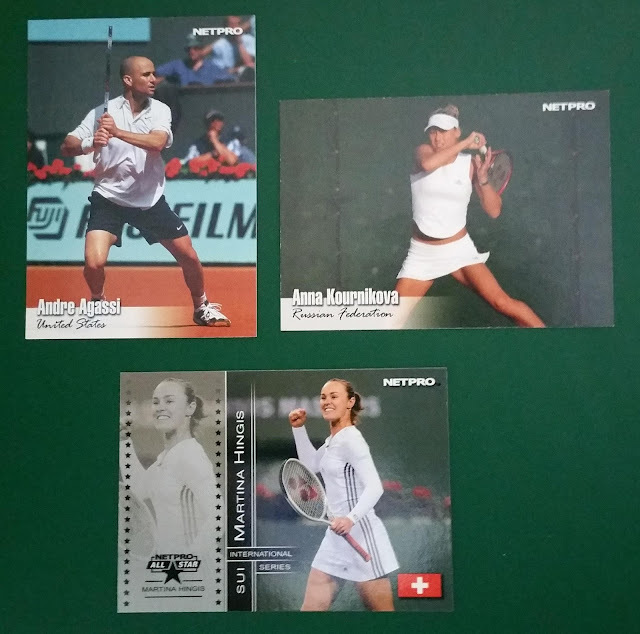 Also, there is one Simona Halep card on COMC right now. One. ONE! 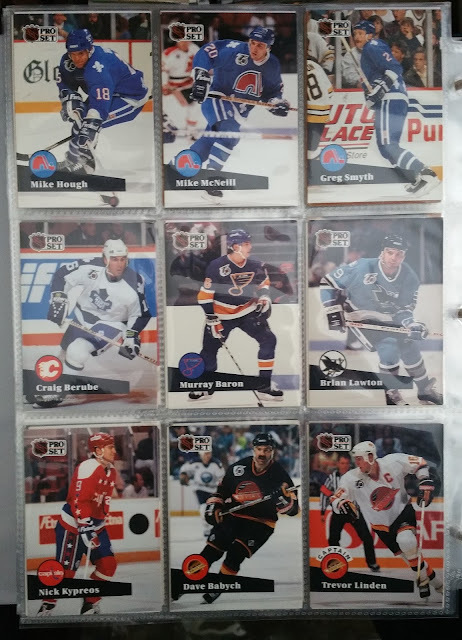 I am hopelessly attached to this ubiquitous set thanks to a connection I made to it when I was immersing myself in hockey in 1991. I expect this little confession to unleash a flood of 91-92 Pro Set cards my way. That's OK. I've got room. For now. Here is a collecting area where I need to get some focus. There is nothing that receives more of my recreation time than music. Not even baseball can compare. So I should just buckle down and collect a music set -- any set -- and provide some proof that music really does reign supreme in my world. 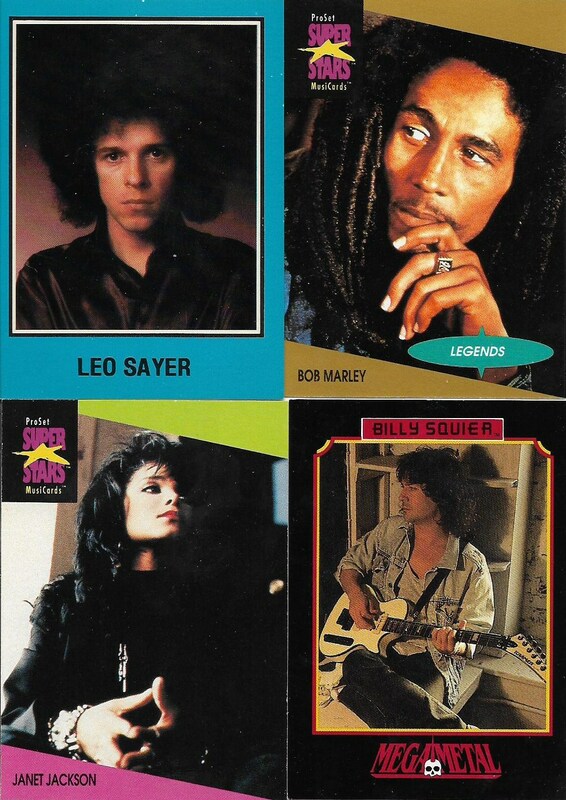 The MusiCards sets from the early '90s would be an easy place to start as they're readily available. I actually have my eye on one particular card from that set right now. 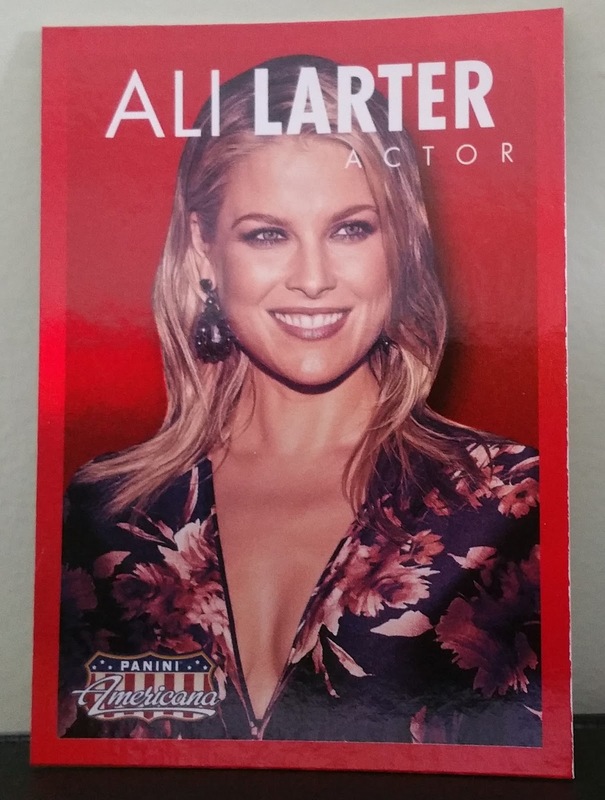 I have a card of almost everyone I've interviewed who has a card. But I've never sat down and figured out who I'm missing. 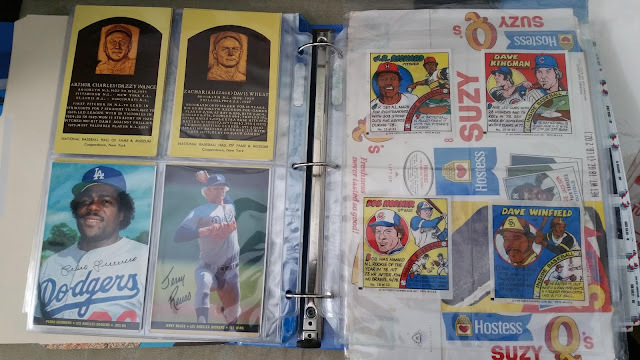 This post is the perfect spark for me to make that list and then to dedicate a binder to those cards and then to show that binder on this blog. So what am I waiting for? A blog post awaits!!! Probably the most unconscious collection I have. I almost never intentionally seek out a card of a pretty girl. It just hits me in the face one day and I have to have it. This is another collection that just sits in various boxes and binders around the house. I'm afraid if I ever put all of these cards in one place, I'd throw all of my other collections away because, my gosh, these cards are gorgeous and all the other cards are of --- what? dudes????? I may not know what to do with random oddballs -- so many of them defy conventional page and binder set-ups. But that's OK. They're oddballs. They're used to be stuffed wherever they'll fit. No order or reason to any of them. Which is the beauty of oddballs!!! Someday -- hopefully sooner than later -- I will go to a card show and buy nothing except random oddballs and vintage. I will have no list, no objectives, no need to get Dodgers or fill set holes. It will be "see vintage, get vintage," "see oddballs, get oddballs." That will be one hell of a show. So, I believe -- for now -- those are all of my collections. It's possible I missed one or two, but I think any that I missed are probably actually sub-categories of something I mentioned here. If you want to do this Blog Bat Around post of your own, feel free to leave a link in the comments on this post because I don't want to miss it when I do my review post. Hmm.. I'll have to take a crack at this one. It was fun to see your non-Dodger stuff. If I was at home(Florida) and with my scanner I could see me doing this. But I could only hit on a fraction of what I collect. My web page want lists does give a pretty good idea that I will never never be done. I see some stuff, here (in GA) that I could send your way too. I was looking for a nice topic to blog about this weekend and I think this'll do just fine. You must've snuck yours in when I was writing mine. No worries, I'll get to them all. While pouting I forgot to mention those Hostess panels are really sweet. I think I may need to find a few with Orioles on them for myself. And I just received a Hostess ALBUM. I'm going to post it this week. Never knew such a thing existed. 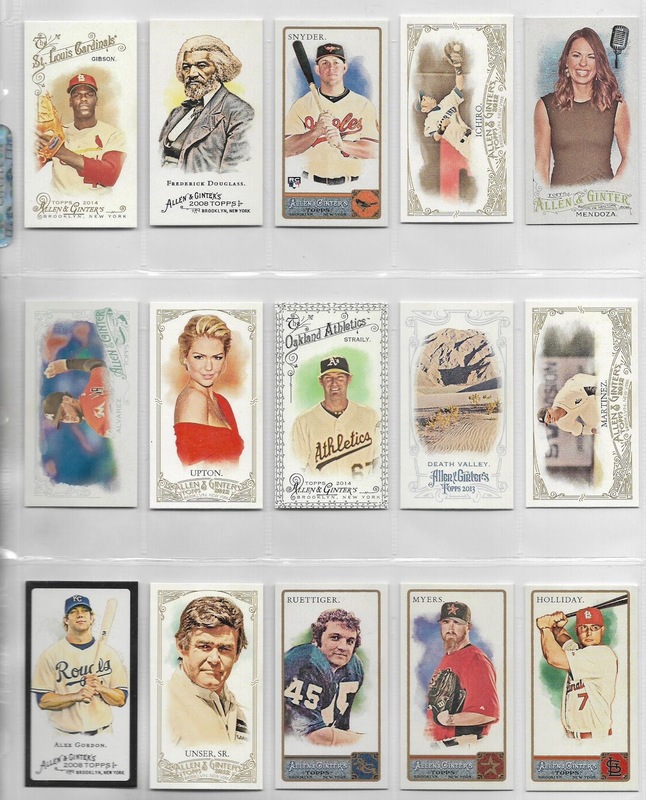 2014 Bob Gibson leads off page 16 of my Ginter mini-Frankenset binder page too! Might have to swap out the 2013 Andre Dawson (black border) in it for some version of Mr Verlander's wife. I think it's cool that I knew all of these except for Tennis. I don't think I've seen you mention that one before. I've picked up a few packs of the 2003 NetPro set just for the heck of it. That's a good enough reason for me to add cards to the collection. I have a bunch of 1990-91 Pro Set available...the image you show is 1991-92 Pro Set...I have some of them too but they are in French. I won a contest on a forum that saw me get 4 or 5 copies of some of them, mostly the All-Star subset. I only needed one so the others are in my dupes box (and some recently went off to Matt Keppel for winning my contest) but I still have more. Yeah, I actually meant 91-92. I'm going to fix it now because I don't need people sending me the inferior 90-91 set! Which Pro Set MusiCards do you need/want? I have quite a few doubles I can send your way if you can get a list together. I'll probably try to cover this topic this weekend, if time allows. Time seems to be in shorter supply the older I get. I'll try to get a list together at some point. I don't have more than 40, so my answer right now to what I need is: most of them. I know a shop that has a monster box full of at least a couple rows of tennis cards. I'll have to peruse my hockey dupes for cool Sabres. My buddy collects Ryan Miller, so he probably has some dupes too. That random oddballs binder would be really fun to flip through. That's one of my favorite things to stumble across at the flea markets and card shows. P.S. Simpson makes me sick... but that 73T card of him is magnificent. As for my BBA contribution... I'm in the process of writing it and I'll have it up on my blog next Tuesday. Those are some pretty cool areas of your collection. I never got into collecting complete sets, but I have a few. I thought about doing it for my son, and there's still time to catch up and get the '16 and '17 Topps sets. I am from the Buffalo area and have lots of Bills from the early 90s team. Would love to help you fill that Bills binder! Also, would a post about one super PC work for blog bat around? Wait. This one BBA might make me post in the month of March. Thanks. Finally got around to doing it. Less than a week. Not bad by my standards. I forgot to mention earlier, here is my bat-around post. How do you organize "gotta get 'em all" collecting goals? Like your Dodgers for instance. This blog topic helps me to get a handle on what I like to collect. I think at some point you'll be the recipient of my Topps buybacks. Excuse me now while I add the other blogs mentioned above to the Stadium Fantasium blogroll. Well, I know what I am doing this weekend. Here's mine! Great way to spend a Saturday. Will he be the best Dodger pitcher ever? Where have you gone Joe DiMaggio cards?